In this video, Tapemark Engineer Tim Brown displays our converting process as it is running and opens up a portal into our Engineer's lives at Tapemark. We are very proud of our Transdermal process and have been running the process for 10-15 years. Our experience has led to great knowledge and success in the Transdermal industry. 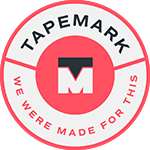 Watch the video to see a bit into our lives here at Tapemark. [Transcript] "Hi, Tim Brown from the Tapemark engineering department, brought you into a converting process today to share some things we're pretty proud of. What you're seeing being produced behind us is a transdermal that we've been producing for 10 to 15 plus years. And what that means to you is over the 10, 15 years,we have a lot of knowledge base with the transdermal, and also what that means to you is during your process development, we could probably save you some money and some time to do that. Now this process runs quite a few days out of the year, and it's been proven over and it's been refined that our yields out of our materials have been greatly reduced over the years, and we're just proud to show you by bringing you in here, how this industry of the transdermal is not so open.We wanted to be open with you and kind of show you into our daily lives of what we're doing here at Tapemark. Thank you."